As I sat atop Stone Mountain watching the sun crest over the horizon, I didn’t really actually have any points of inspiration other than, “this would be a great photo for Instagram”. *sigh* Instead, it would be on the hike down that ideas started to flood me. Every once in a while, it’s good to disappear for a few hours to find inspiration. Everyday, I’m stretching myself as I teach myself programming, put together recommendations for a client, meet new people, etc. After a while, I’m stretched out and exhausted… consumed by everyday life, I’ve focused on the tactical and left off the strategic. 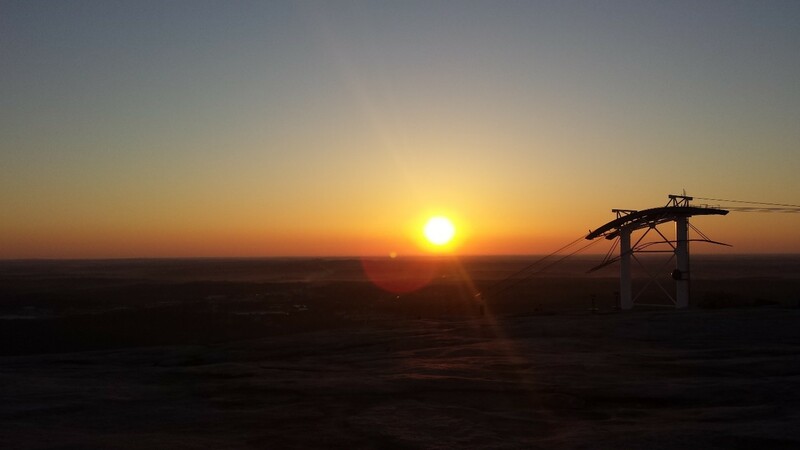 A month ago, I hiked up Stone Mountain at 6AM on a Saturday to catch the sunrise. 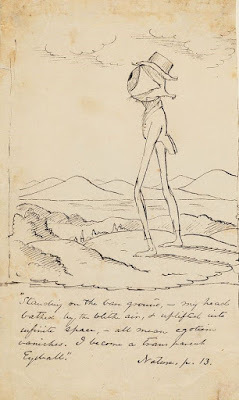 This was me being a “transparent eyeball” searching for inspiration — famous transcendentalistauthor, Ralph Waldo Emerson’s metaphor for absorbing the world and having a deeper connection with people and nature. 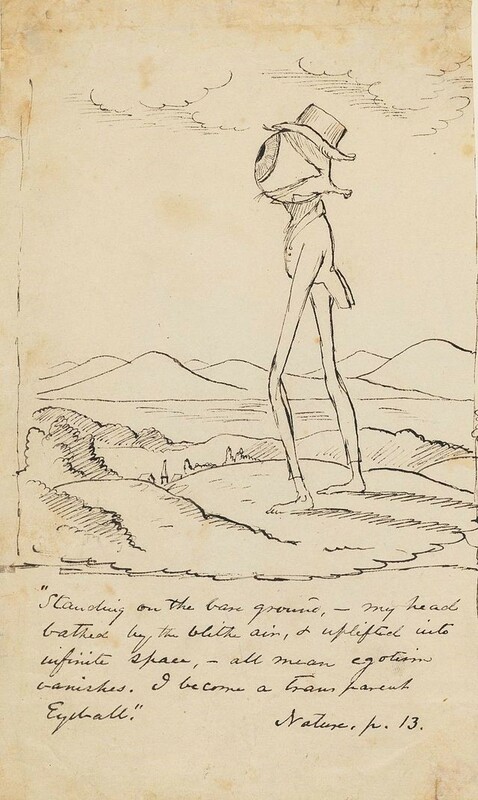 Depiction of Ralph Waldo Emerson’s “transparent eyeball” from his composition Nature. Image source: Wikipedia.org. As I was hiking back down, clear-headed, ideas flooded me. It was like a shot of adrenaline, but for my mind. I came up with several blog posts including The Mountain Biking Lesson That Gets Us Past What Stops Us, subject for my 100thblog post, and this post. I even had startup ideas that I put on my List – ideas to test later. Otherwise, there was an amazing, rejuvenating feeling not just from the early hike and sense accomplishment, but it was the energy from other hikers. Everyone who passed by smiled and said, “good morning!” There was a sense of connection the community and the goodness in people. I write this not just as a motivation to find inspiration in simplicity, creativity, and even transcendentalism, but as a realization of the bigger world beyond lines of code and product demos. It’s easy to keep plugged in and plugging away, but it can wear you out. Sometimes, the best inspiration and work you can do is to disappear. You’d be surprised by the results. How do you find inspiration and motivation? Where do you go when you need to “disappear”?